The Finnish-based team of double WRC champion Marcus Grönholm will continue its FIA World Rallycross Championship presented by Monster Energy venture in 2019. The team will retain its two permanent drivers – Niclas Grönholm and Timur Timerzyanov – who will be accompanied by development driver Reinis Nitišs for several outings. The trio will chase trophies with a 2019 version of the team’s Hyundai i20 Supercars. GRX TANECO successfully debuted it’s Hyundai i20 Supercar last season and after 12 rounds claimed fourth in the World RX Teams’ standings, with N. Grönholm finishing seventh and T. Timerzyanov 10th in the Drivers’ championship. “We knew that our first season with a new car would be tough, but we exceeded our expectations in 2018 and throughout the winter break we have been working hard to improve our i20 Supercars and take the next step in 2019,” states GRX TANECO Team Principal Marcus Grönholm. GRX TANECO Team recently did its first test session of the year in Southern France. After trying out the first set of updates for the Hyundai i20 Supercar team’s drivers and management were confident on successful 2019 season. “This will be the first time I will drive the same car for a second consecutive season and I will start it with a good knowledge of the i20 Supercar. The base performance was already there and we have worked on tweaks around the car to shave off crucial tenths of a second. 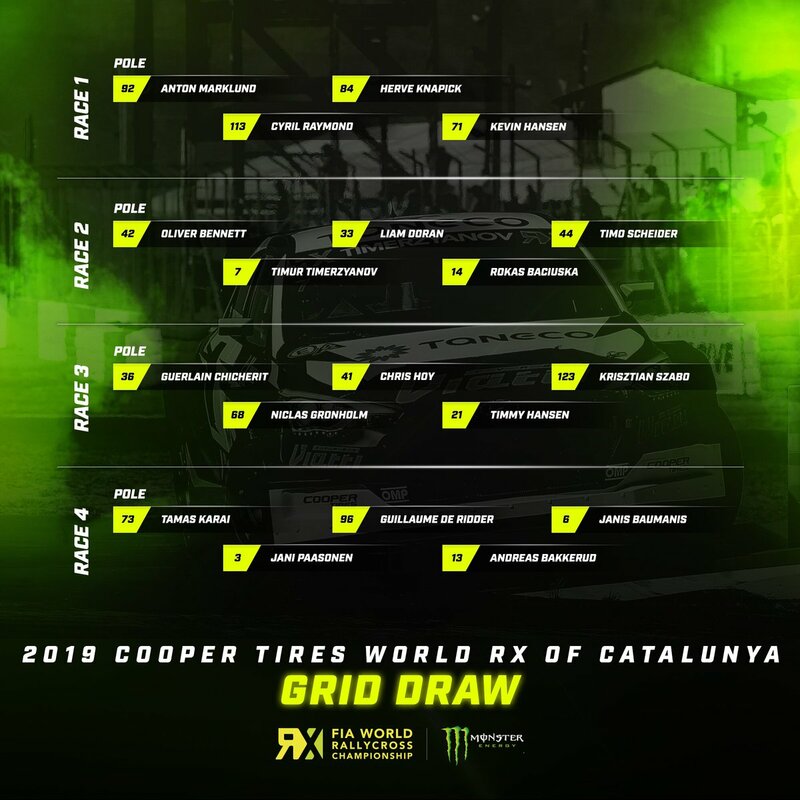 The 2019 season is just around the corner and I’m really looking forward to the first round at the new track in Abu Dhabi,” said 22-year old Niclas Grönholm, for whom it will be his fourth year in World RX. “Rallycross is my passion and I believe in it, so naturally I am pretty thrilled to start my sixth season of World RX and to do a second year together with GRX TANECO. This season will offer more opportunities for privateer teams, meaning that we also have a bigger chance to show our supporters good results and great action for the fans. It’s just 10 rounds, so there will be no sandbagging and everyone will be trying to claim the podium positions,” explains triple European Rallycross champion Timur Timerzyanov. “World RX has experienced some turbulence lately, but I think the competition this season will be very, very close and this year will prove to be an exciting one for drivers and spectators. Last year we built a good base to work from – all of our technical staff have remained on-board, both Niclas and Timur know the car well, and I am confident that with this package we’ll be able to fight for top positions. For further improvements we have also added a third car for several rounds with Reinis as our development driver, to help us gain data and continue the car’s evolution,” says Team Manager Jussi Pinomäki. “I’m happy to be back in World RX, even though it’s not a full-season programme. Together with Jussi Pinomäki I have claimed two Euro RX titles and I know the people working in the team - everyone is professional, dedicated and passionate. Part of my season will be spent working together with the engineers and team behind the scenes, or testing car updates. But be assured, when I’m racing you can expect no giveaways,” says GRX TANECO newcomer Nitišs. The 2019 FIA World Rallycross Championship presented by Monster Energy will consist of 10 races across the world, starting on April 5, with an inaugural event in Abu Dhabi, United Arab Emirates, and conclude on November 10 in Cape Town, South Africa.